Looking for an automated garage door to work with a Smart Home system? Then the AlluGuard range is perfect for you! Their automated roller doors are powered by Somfy. 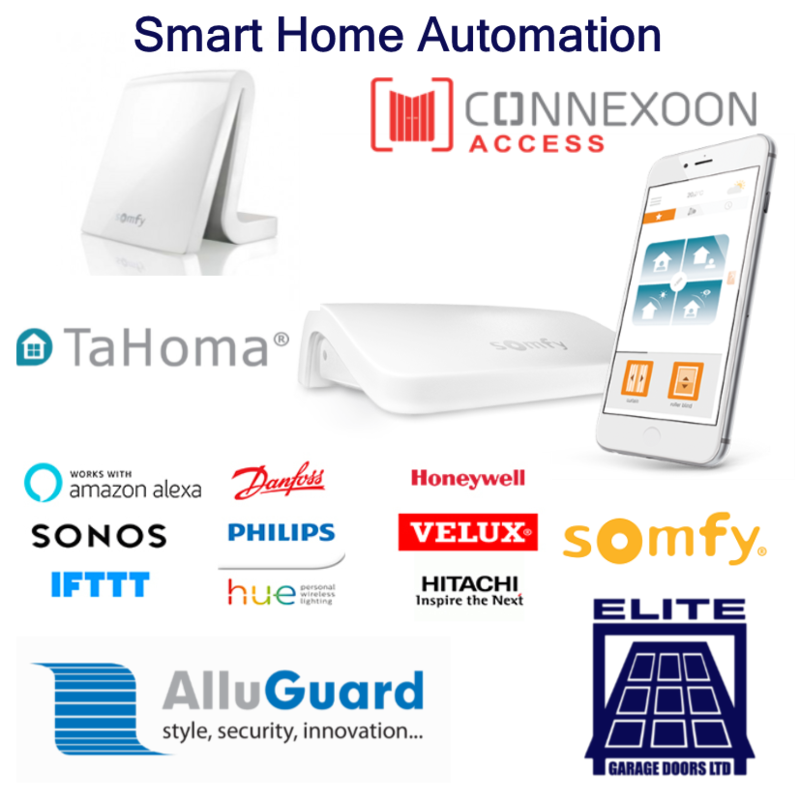 With the purchase of either the Connexoon or Tahoma Smart Home hub (both available to purchase from ourselves) you can control your garage doors, security system, lights, blinds and other connected devices via your Smart Phone. Both systems are also compatible with Nest and Alexa. Set scenarios such as “when I leave the office activate ‘Im arriving’ mode” and have your gates, garage door and lights come on waiting for you to get home. Similarly set “I’m leaving” for the blinds and garage door to close and lights to switch off. Connexoon centres around access to your home, providing smart control of your garage door, gate and lighting. 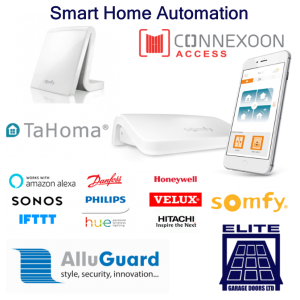 Tahoma is the complete smart home solution for monitoring and operating your garage doors, gates, blinds, curtains, lights, electrical equipment, heating and home security. 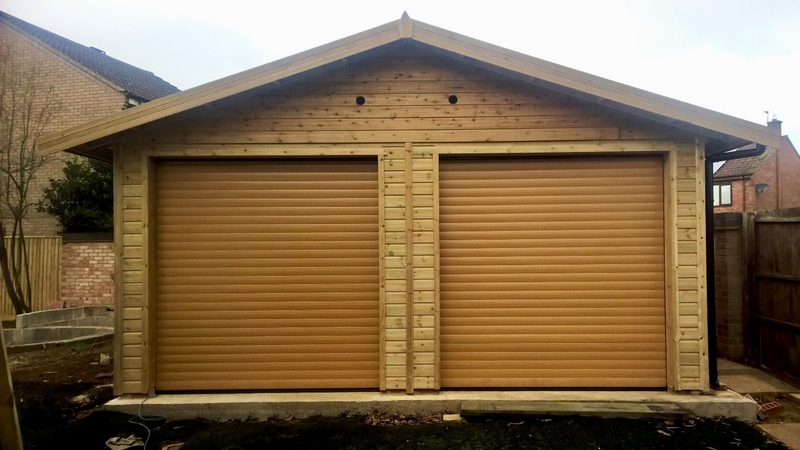 AlluGuard roller doors offer the very best in security with all doors coming alarmed as standard. The standard 77 range is Secured by Design Level One but for added peace of mind chose the Qompact, Level 2 STS 202 BR2 certified. The doors come in a range of 24 colours/finishes enabling you to pick a stylish, secure and smart garage door to complement your home. We are the area’s dedicated AlluGuard distributor. We are a local, family company offering excellent customer service, so not only do you get the best door at fantastic pricing but a warm fuzzy feeling from buying local too! Interested? Download a brochure or book your free, no obligation site survey today by calling 01295 272370. We are currently seeking both experienced and trainee garage door installers. Interested? Give Graham a call on 07833 474962 or send your CV to graham@elitegd.co.uk. We are seeking an enthusiastic, conscientious, experienced Garage Door Engineer to install, repair and service our customers garage doors. You will have a passion for customer service and pride in your work. We are looking for engineers who will not settle for second best. Working in the residential market you will be the face of our company and so excellent communication skills are essential. This role is an outside based position and requires heavy manual work. You will be required to work both on your own and as part of a team. For the right candidate there is an opportunity to take on more responsibility within the business including managing teams, scheduling work and stock management. Along with previous experience of installing a range of garage doors you will hold a Level 2 NVQ qualification in a relevant subject and have a current CSCS card. Uniform will be provided and a full clean driving licence is required. Based in Banbury we cover a 60 mile radius and occasionally work takes us further afield. Hours are Monday to Friday from 730am to 4pm. Hours may vary depending on the needs of the business and weekend overtime is occasionally available. We are seeking an enthusiastic, conscientious, practical person to learn how to install, repair and service our customers garage doors. You will have a passion for customer service and pride in your work. We are looking for team members who will not settle for second best. For the right candidate there is an opportunity for additional training and to progress to a senior engineer role. Along with previous experience of working in a similar environment you will ideally hold a Level 2 NVQ qualification in a relevant subject, however this is not essential if you are willing to undertake the training required to achieve this. Uniform will be provided and a full clean driving licence is preferred.